Maybe it’s the sheep jokes, but for some reason I feel a certain affinity with Brittany. I wasn’t aware that Brittany enjoys a similarly unfounded reputation for their hospitality to sheep as my homeland. The younger crowd in Bordeaux do seem to have a superiority complex towards their cousins to the North – possibly the same feelings that Parisians have towards Bordeaux. There’s always someone on the receiving end. 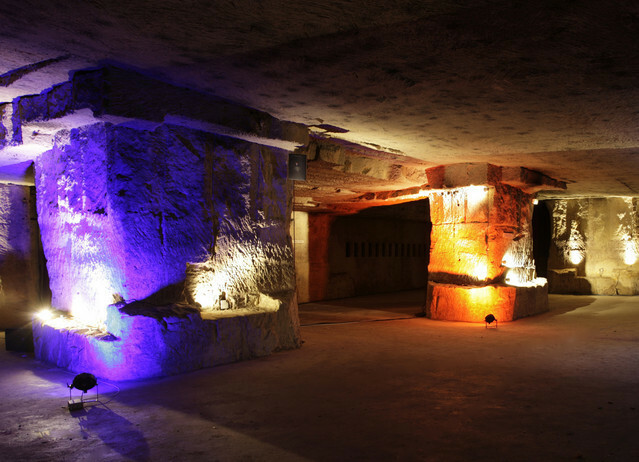 I’ve had three days to recover from a memorable New Years Eve spent in the underground limestone cave cellars of Château Villemaurine, St Emilion. In a disgraceful display of behaviour, a few of us decided to liberate beer to the car throughout the night to be enjoyed at a later date. The father of my host family is a Doctor, and is called to an emergency the following morning. Half-way to his destination, he notices a back-seat lined with about 30 unopened beer cans. He’s very appreciative upon his return, and with every retelling of the story, the number of cans increases. 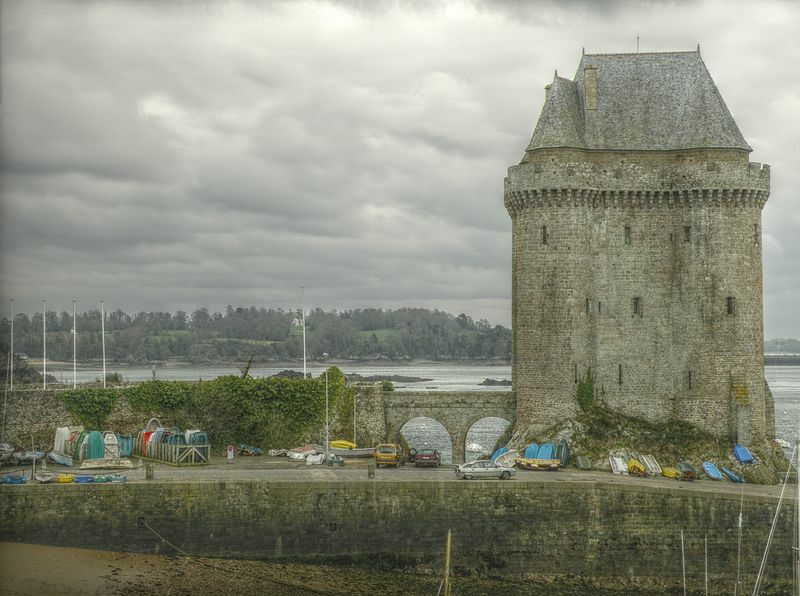 There seem to be so many impressive locations in Brittany that are beyond the range of my rail ticket. It would be easier to be here with a car, but that will have to wait for a future trip. My train pulls out of Bordeaux just after midnight on 4 January. Fortunately I’m now used to the noise of overnight trains and I sleep well. My first stop is Lorient where I join locals for a pre-dawn breakfast, before heading to Rennes to find accommodation for the next three nights. 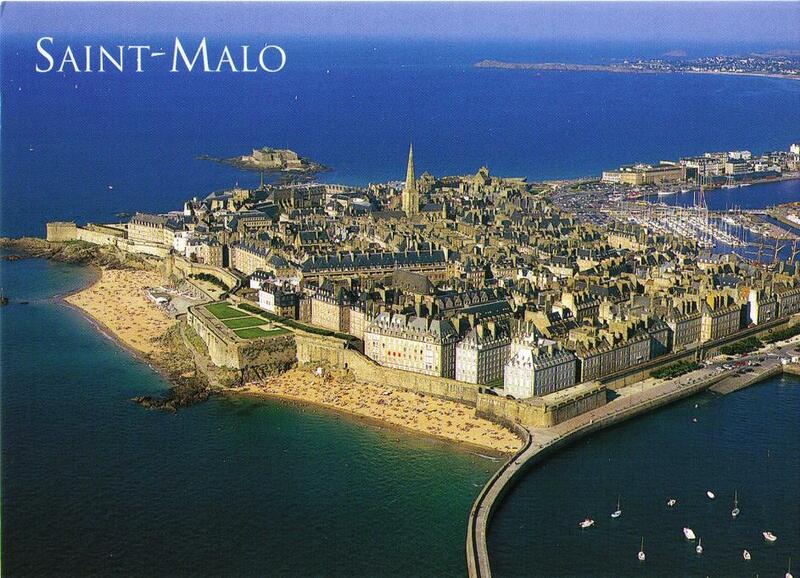 I quickly find a budget hotel near the station and start my exploration with a day in St-Malo. I do have slightly more daylight now, but only enough to assume that the sun has come up. St-Malo is built on a granite promontory in the English Channel, and a thick mist hovers over the water and the causeway to the mainland. It’s also a bit chilly, and most people have found somewhere warmer to spend their day. I’m quite happy not having to share the old town. Some of the ramparts date from the Middle Ages, and as I do my tour, I pass only occasional shadowy figures. The town feels deserted – which seems far more atmospheric than a beautiful day with busloads of tourists. The views are fantastic, both of the granite houses within the walls, and of the increasingly wild sea. After more exploration of the old town and the Chateau, I wander around the bay to St-Servan, home to the Tour Solidor, built in 1382. The mist is thicker now, and the view has almost completely disappeared. Slightly at odds with the surroundings, I find a great record shop on my way back to the station, but decide the chances of vinyl surviving the return trip back to New Zealand are a bit slim. I’ve been spending quite a bit of time on french trains, and have found a need to read something other than travel guides. 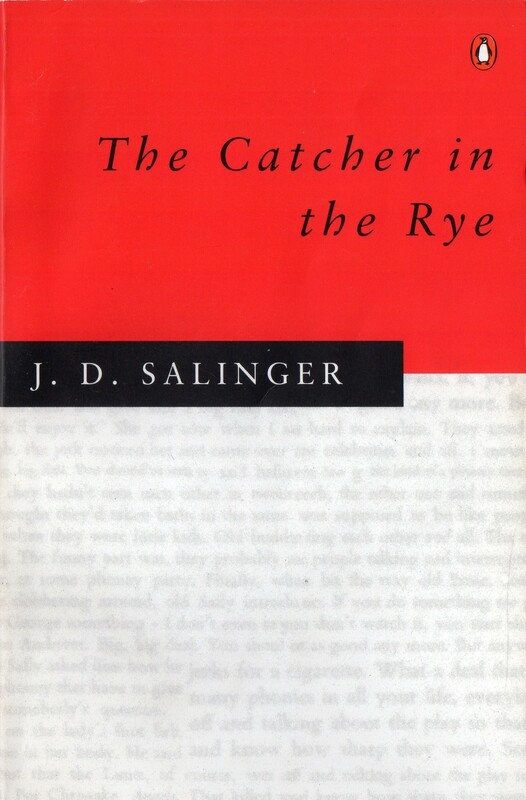 I’ve found a few english language books in the house in Bordeaux and I’ve borrowed “The Catcher in the Rye” for this trip. As I make my way back to my base in Rennes, there are three french schoolgirls sitting across the aisle from me. Out of the corner of my eye, I notice that the middle girl seems to be hiding her face. While pretending to be looking out the window, I can see that she is trying to see what I am reading, probably noticing that the title is in English. This continues for quite a while. I could just tell her what it is, but a nasty streak gets the better of me. I suddenly turn to face her side of the train, and she immediately whips her head back, smacking it against the metal of the wall of the carriage. It wouldn’t have hurt at all, but it causes a huge noise, making both her friends jump out of their seat. 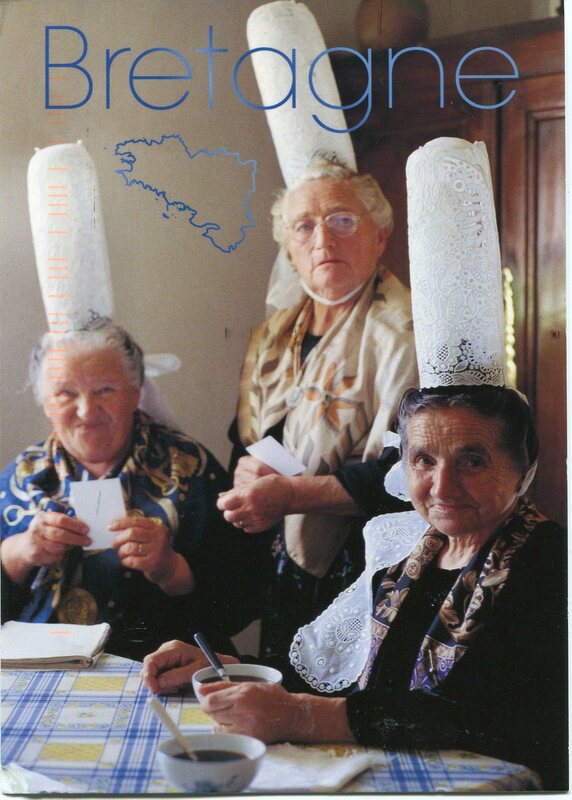 They soon laugh at what has happened, and when they laugh I get a friendly “Bonsoir”. The plan for 5 January is a quick departure from France to the island of Jersey, in the Channel Islands. The islands are a British Crown Dependency, so not part of Great Britain, and not part of the United Kingdom. I need to get an early start to catch the hydrofoil so I plan to catch the 6.30 train. Those plans come to an abrupt halt when I find myself locked in the Hotel. About an hour later I get an apology from the owner that they hadn’t told me about the after hours exit. Option B is quickly chosen, and I’m headed for the neighbouring region of Normandy. 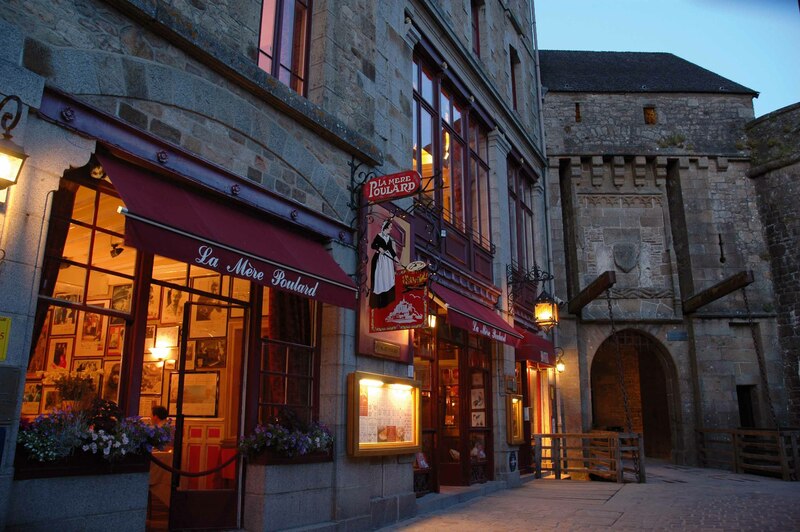 Mont St-Michel is one of the most recognisable attractions in Europe, visited by more than 3 million people each year. The train stops at Pontorson and I share a taxi to Mont St Michel with three Americans whom I’ve met on the train – Tom and Lisa from Maine, and Patty from New York. The tide is out, so Tom and I take the chance for a lap outside the walls of the island. The tide is said to return with the speed of a galloping horse, so we keep an eye out for that. Slightly muddier, we’re soon back on dry land and start the climb. An oratory had been established on the island in 708, and the 13th century abbey that was eventually constructed on this 80m rock has at one time been used as a monastery, a fortress and a prison. After the Abbey, other attractions are the 13th century refectory and cloister, the two great Gothic Halls. The island seems full of winding paths and blind corners, and with few other tourists around, it often feels like we have the place to ourselves. For lunch, we make our way back down the Grand Rue, lined with 15th and 16th century houses. It’s another cool day, and a hot lunch in a cafe on the main street goes down very nicely. While mid-mouthful, I notice a mustachioed face peering at me through the front window. It’s my English teacher from two years earlier in New Zealand. It’s great to see him, but it feels odd to be talking in these surroundings. It also does nothing to discourage the impression that all New Zealanders know each other, but to be fair, we probably don’t need six degrees of separation. This isn’t the first or last time I run into familiar faces on my travels. In less than a week on a train between Narbonne and Avignon I’ll end up in the same carriage as one of the Americans whom I’ve met today. 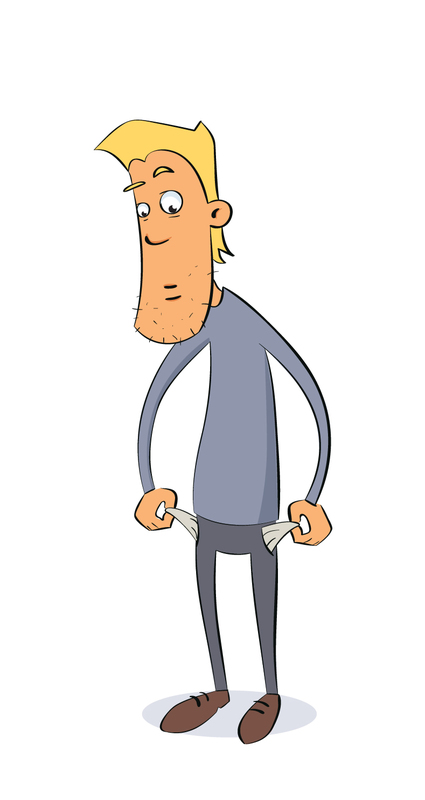 For my latest trick…no wallet! January 6 starts with a feeling of déjà-vu as I catch the 6.30 train to St Malo after another early start. But the plan starts to unravel when I’m asked for my ticket, and I realise I’ve lost my wallet. I hope that I’ve left it in the Hotel in Rennes, but I have no option other than to pay the fine for not having a ticket (254 francs, but that was cancelled after a subsequent apologetic visit to SNCF in Bordeaux), use my pre-paid ticket to Jersey, and face a long and hungry day. 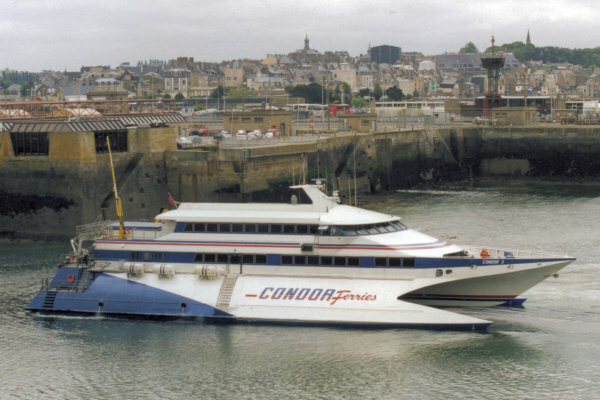 I board the Condor, the hydrofoil bound for St Helier, Jersey, finish the Catcher in the Rye, and fall asleep. The next thing I know, I’m one of the few left on the boat, and we’re in St Helier harbour. While in the customs queue, I share my stupidity with a girl who has a New Zealand flag on her backpack. Penny, also from Auckland in NZ, is working on the island, and offers to drive me around the island in her boss’s car. The hospitality continues as I meet her boss Ian, and he lets me call my Hotel to check for the wallet. That seems to take an eternity, as the old lady has to make the climb to my room and back, but the wallet is located. I’m then fed, and the circuit of the island begins. We head clockwise out of St Helier, through Le Portelet with a stop at St Brelade’s Bay. I enjoy a pie and pint at La Marquanderie Inn, before we head north along the exposed west coat of the island. 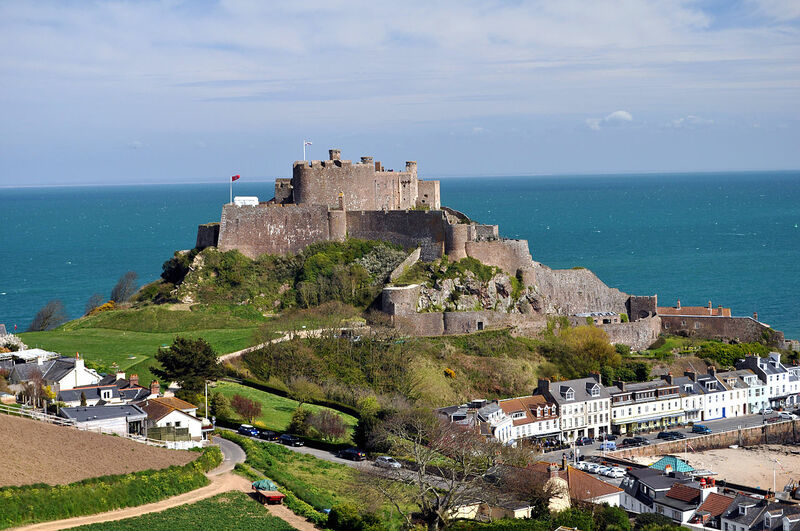 We drive back through the middle of the island, through St Helier again, to the east coast, visiting Mont Orgueil Castle, St Catherines and Trinity in the north. We could possibly cut the arrival time back at the Condor a bit fine, but at least I had made the most of my time on Jersey. I feel very fortunate to have fallen in with Penny and Ian, and I hope they receive my letter from Bordeaux upon my return. My trip back to Bordeaux on 7 January is via Angers and Nantes. The Chateau of Angers, complete with moat and 17 towers, is the highlight. Dating from the 9th century, it was used by the Germans in World War II as a munitions depot and bombed by the Allies in 1944. 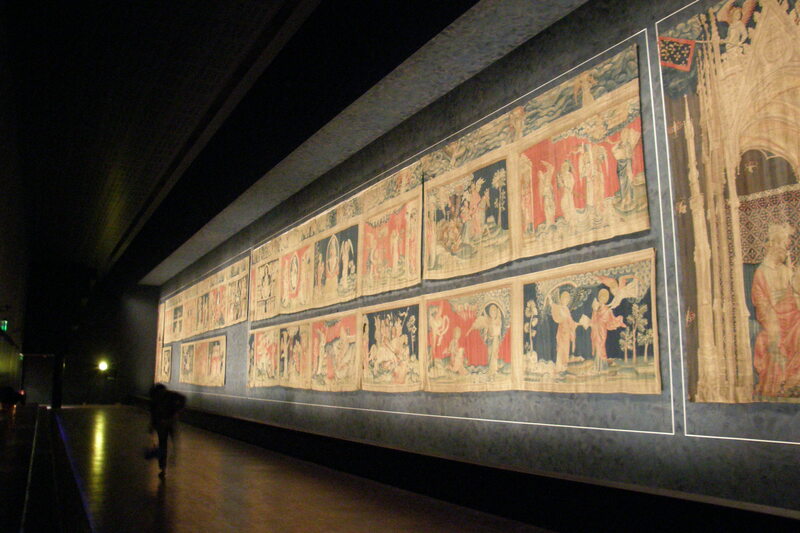 It also contains the Apocalypse Tapestries, 77 huge pieces dating from 1375 that stretch for 335 feet. I’m no tapestry expert, but with images of Babylon, Satan, dragons, lions and other characters, these are impressive. The old town of Angers is also interesting, with many beautifully restored fifteen century houses. 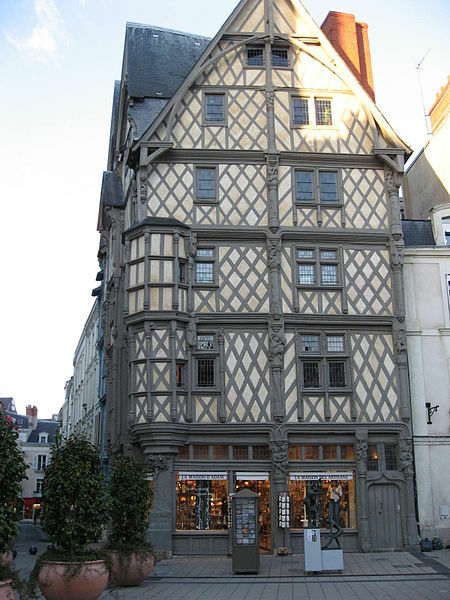 The most memorable is the Maison d’Adam – possibly not the original Adam, but it looks old enough. My four days away comes to an end with a beer watching Amadeus with my french sister. It’s been an eventful few days, and a wonderful introduction to this part of France. There’s so much more to see there, especially in the more remote towns and villages removed from from the rail network, but a start is a start. This entry was posted in Travel and tagged angers, apocalypse tapestries, brittany, chateau villemaurine, france, jersey, lorient, nantes, new years eve, pontorson, rennes, st emilion, st helier, st malo, train, travel. Bookmark the permalink. Beautiful photos! 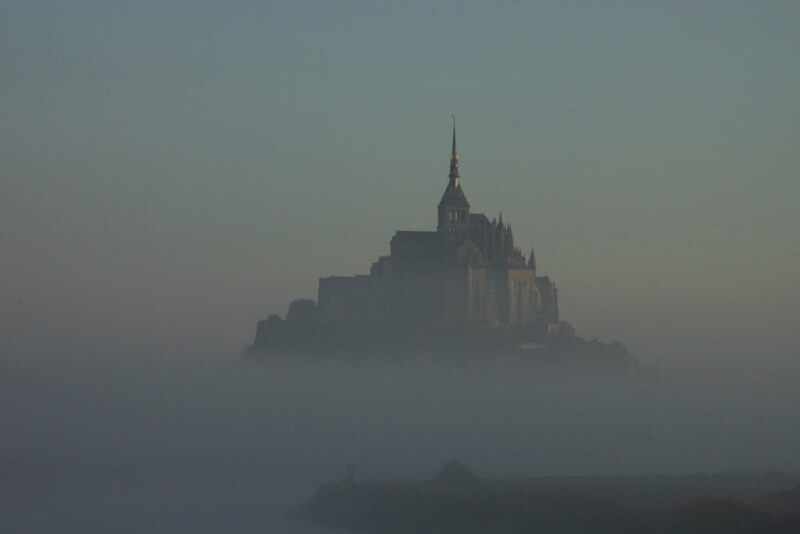 – is that your own photo of Mont St Michel, or a postcard? Sadly that’s not one of mine. My scans of photos from back in 1990 aren’t too good. That’s a postcard – not sure why, but they don’t seem to take photos for postcards in mid-winter!